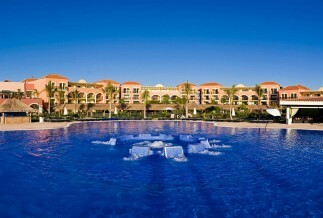 Fabulous family friendly property that offers family, 1, 2 and 3 bedroom suites in an all inclusive environment. 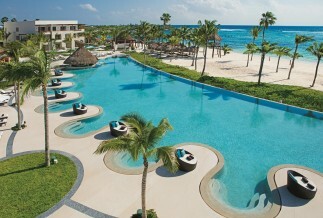 The Hideaway at Royalton Riviera Cancun is a relaxing adults-only oasis in the Riviera Maya. 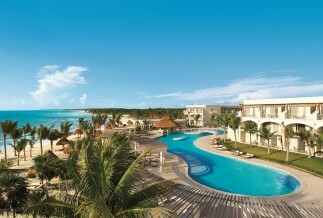 Breathless Riviera Cancun is the resort of choice for the festive at heart looking for an all-inclusive, adults-only getaway. 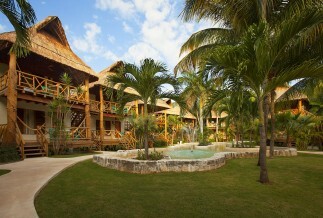 Nestled on over 200 acres of jungle, by the award-winning Maroma beach, this boutique resort is the perfect escape. 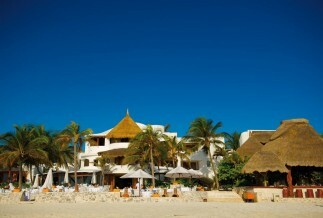 The newly renovated Akumal Bay Beach Resort is a laid-back, all inclusive family hotel on the famous Akumal Beach. 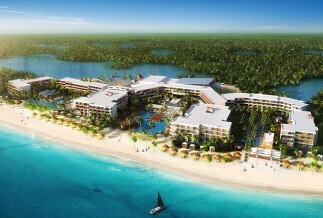 The new Secrets Akumal, offers an adults-only, all inclusive oasis for those seeking luxury. 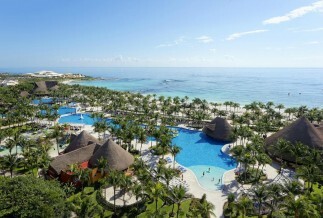 This all-inclusive luxury hotel is only minutes from the famous Tulum Mayan Ruins. 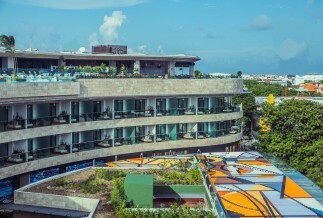 The BRIC Hotel & Spa is a boutique hotel set in downtown Playa del Carmen, just steps away from 5th Avenue shops and restaurants. 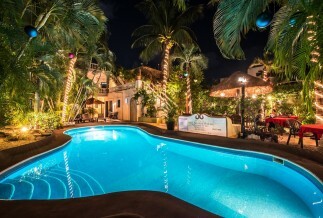 Live Aqua Boutique Resort Playa del Carmen is a stylishly chic adults-only, all-inclusive boutique hotel right on 5th Avenue. 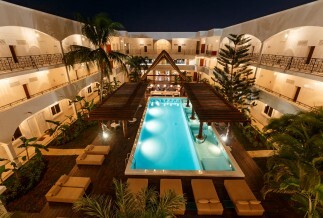 A quality 4-star hotel that offers good prices and superb service in downtown Playa del Carmen. 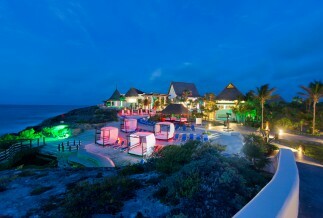 Kore Tulum is an all-inclusive Riviera Maya resort offering gourmet food, luxurious accommodations and amenities for adults-only. 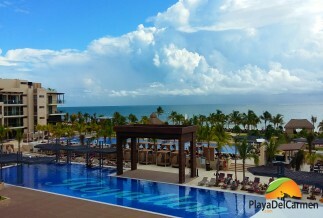 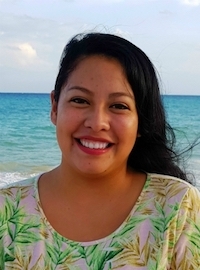 Mahekal Beach Resort is a top kid-friendly Playa del Carmen beachfront resort in the Riviera Maya and great option for families. 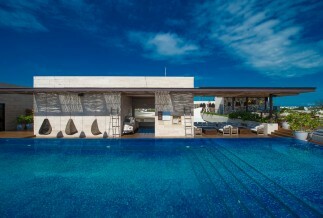 Thompson Hotel Playa del Carmen is a luxury hotel situated on 5th Avenue with an amazing rooftop pool and two gourmet restaurants.